At Wyndham Merida, guests can explore the top destinations within the Yucatan, each just moments away. With 100 well appointed accommodations including standard rooms, deluxe rooms, and suites, travelers can delight in a guestroom that suits their distinct preferences. The hotel boasts one full-service restaurant and one lively bar, perfect for enjoying the region's finest cuisines and delectable craft cocktails. With nearly 3,000 sq ft of meeting space, the hotel welcomes various functions, events, and wedding celebrations during which guests are afforded a wealth of services when encountering the daunting planning process. 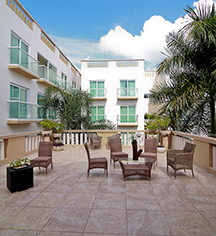 With a location in the heart of the notable city of Mérida, prime attractions are just steps away. From museums, to historical sites, to shopping districts, guests can delight in activity or leisure, whichever they prefer. When the sightseeing adventures have come to a close, guests can relax by Wyndham Merida's pristine outdoor pool, or enjoy the fully-equipped fitness center. 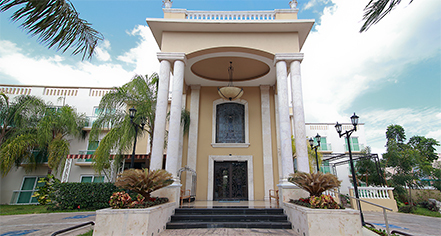 Wyndham Merida, a member of Historic Hotels Worldwide since 2015, dates back to 1912. The hotel's main building is the fully-restored structure of an authentic Merida residence, built in 1912. Deposit: Deposit required when paying in cash. Parking: Self-parking: Available. Valet parking: Available. Bus/Truck parking. Outdoor parking. At Wyndham Merida, guests can explore the top destinations within the Yucatan, each just moments away. With 100 well appointed accommodations including standard rooms, deluxe rooms, and suites, travelers can delight in a guestroom that suits their distinct preferences. Learn more about the History of Wyndham Merida .